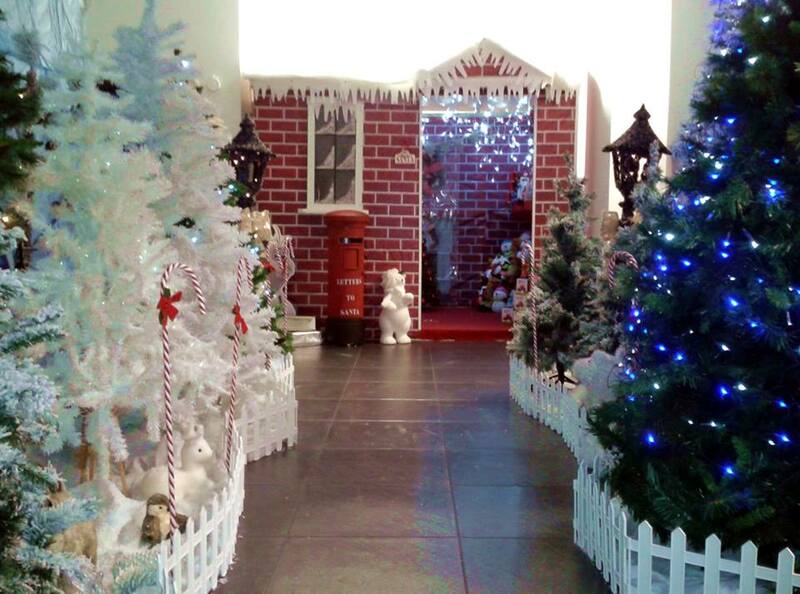 Every Saturday from the 24th November until the 15th December 2018 we assisted Santa in his grotto at Carnegie House (the old library), Wyndham Street, Bridgend. On each Saturday visitors were able to book from 10 am until 4 pm for that day (subject to availability) or one of the upcoming days. On-line booking is highly recommended in 2019 to avoid disappointment. Further details of this will follow nearer the time. We would like to thank everyone who supported our Luxury Christmas Hamper Raffle, kindly sponsored by Sainsbury's. This was the first time we've sold tickets off-site and we are most grateful for the generous help given by Bridgend Town Council and The Pheasant. In total over £720 was raised for local good causes and charities. 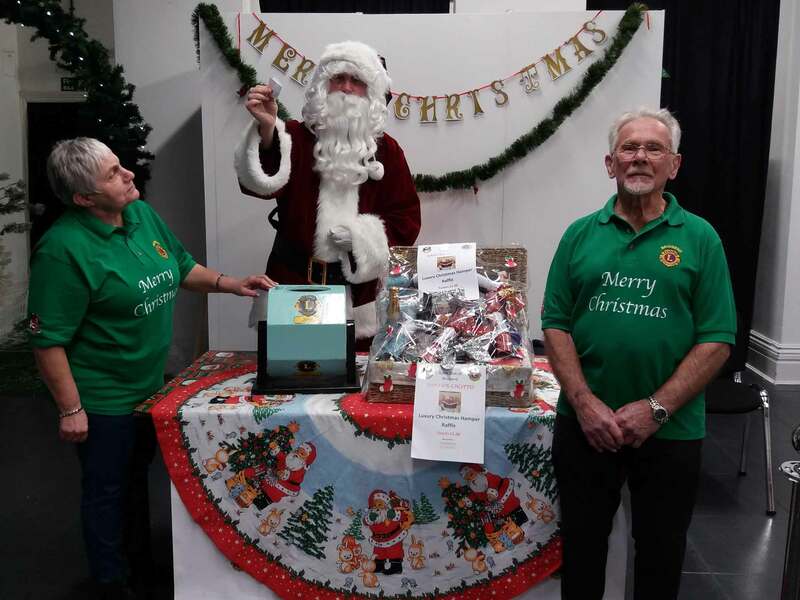 In the picture with Santa is Natalie Murphy (senior raffle elf) and Lion President Tony Gates. 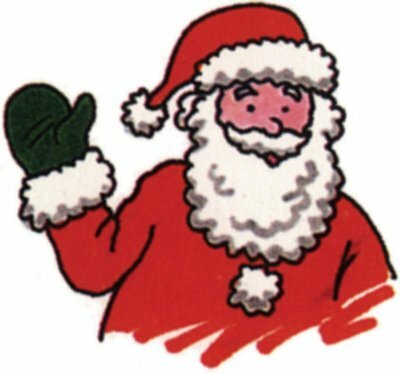 Santa said he enjoyed meeting over 400 wonderful children in his Grotto in Carnegie House and will definitely be back in 2019! The cost of entry was £6.00 per child which included a quality gift. Visitors could take their own photographs and there were free craft tables for children, a bran tub and some Christmas gift stalls. 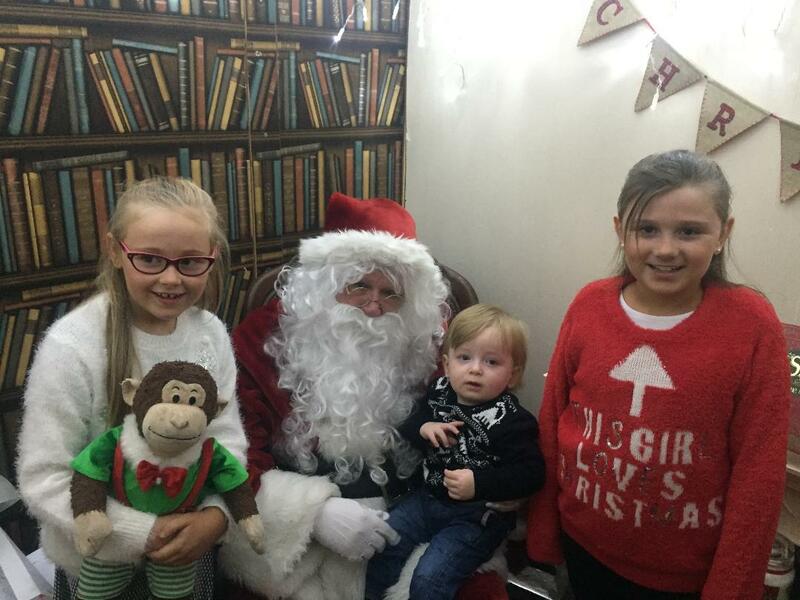 Santa is pictured below in his Grotto with some of his young visitors.